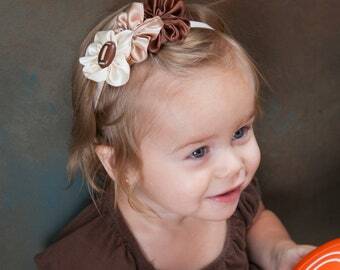 Too cute and oh so adorable Purple, Green and Red Mermaid Flower Headband or Hair Clip. 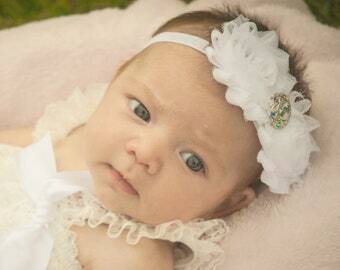 Flower Headband can be made to fit newborn to adult - including custom sizes! If you prefer this can also be made as a clip and attached to a partially lined alligator clip. 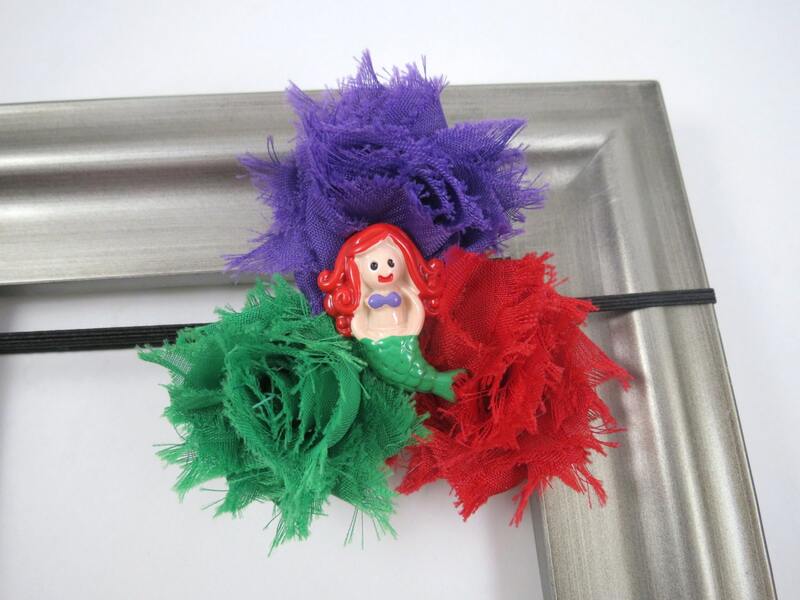 This Mermaid accessory is the perfect addition to any little ones collection! Headband is made from 3 shabby flowers - one each of purple, green and red that have all been attached to a felt backing. To the top of the flowers a mermaid embellishment has been added. 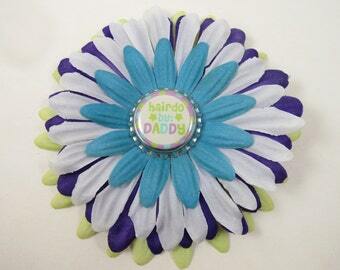 An elastic headband has been attached to the back of the flowers between felt for added comfort. Or a partially lined alligator clip. (You choose the options you prefer during checkout.) All ribbon and elastic ends have been heat sealed to prevent fraying.